Get a more aggressive stance while improving the handling on the VW MK6 Golf R without sacrificing ride quality and comfort with the H&R Sport Springs. H&R Sport Springs for VW MK 6 & 7 Golf R will give your car an aggressive stance and improve handling. For a more aggressive stance on the VW MK 6 & 7 Golf R, you need to get H&R Sport Springs. 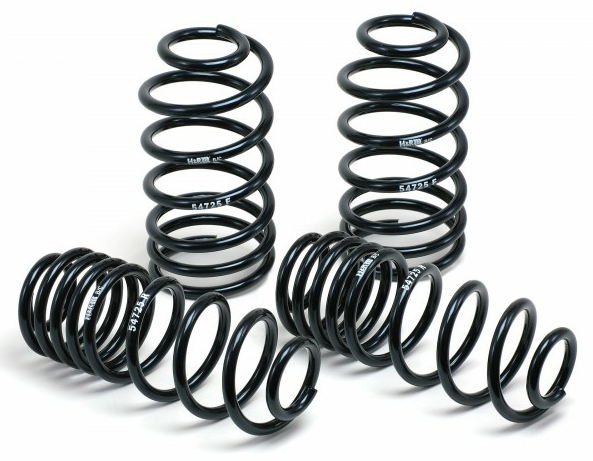 These springs are the best selling products from H&R Suspension for its high quality and affordable prices. The H&R Sport Springs for MK 6 & 7 Golf R will lower your car by .75" in the front and the rear for a lower center of gravity and better handling. The sport springs reduce body roll on the MK 6 & 7 Golf R which results in better steering response during cornering. The VW MK 6 & 7 Golf R H&R Sport Springs are perfect for the road or track, and are specially engineered to maintain your driving comfort. Jacks & jack stands, mechanic tools, and spring compressor needed for installation.